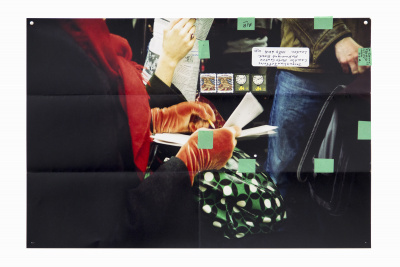 Moyra Davey, Subway Writers (detail), 2011/2014. Courtesy the artist; Galerie Buchholz, Berlin/Cologne/New York; and greengrassi, London. Moyra Davey, Kate & Jane (single image), from the series Triptychs, 1979. Courtesy the artist; Galerie Buchholz, Berlin/Cologne/New York; and greengrassi, London. Moyra Davey, Eric (Fade), 2018. Courtesy the artist; Galerie Buchholz, Berlin/Cologne/New York; and greengrassi, London. Moyra Davey, EM Copperheads 1-150, Galerie Buchholz (detail), 2017. 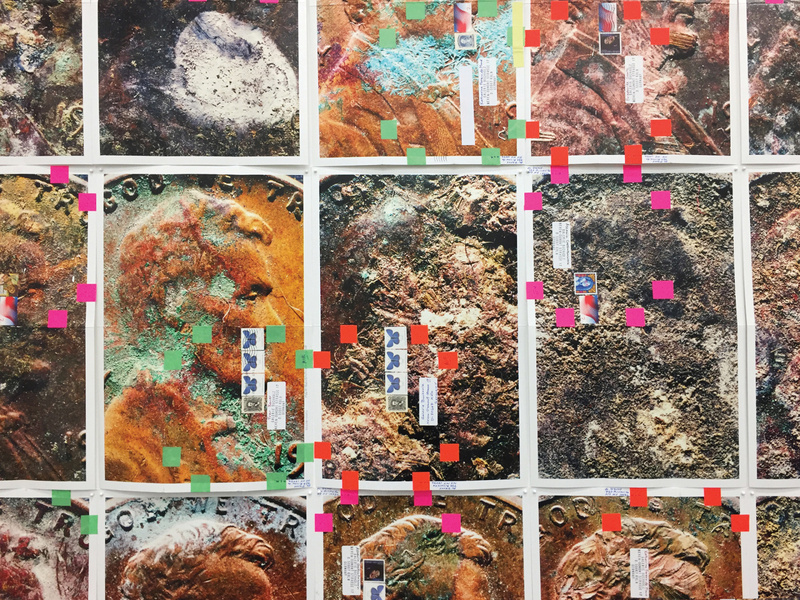 150 chromogenic prints, tape, postage, ink. Courtesy the artist; Galerie Buchholz, Berlin/Cologne/New York; and greengrassi, London. 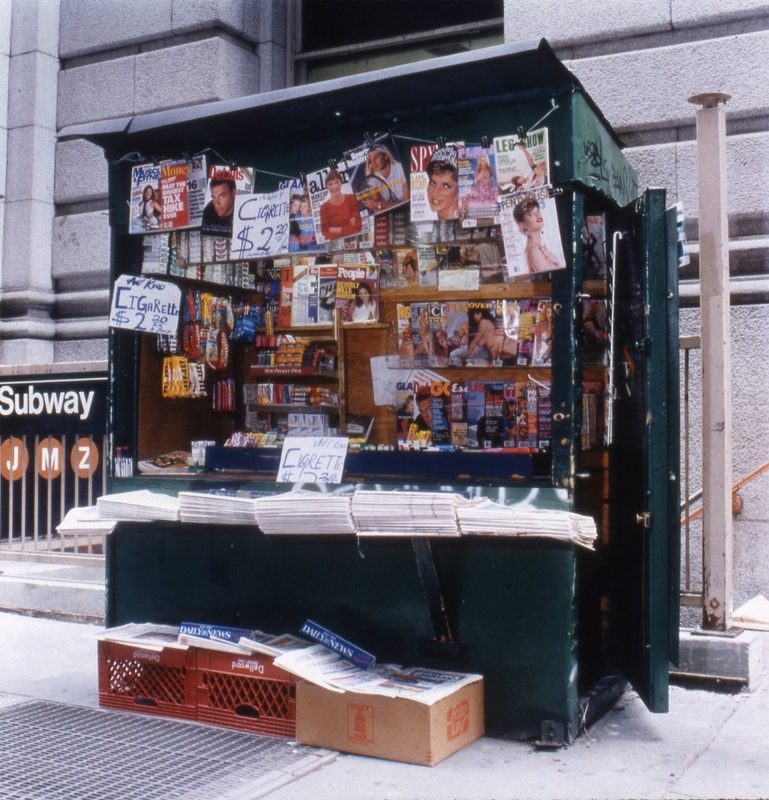 Moyra Davey, Newsstand No.9, 1994. Courtesy the artist; Galerie Buchholz, Berlin/Cologne/New York; and greengrassi, London. 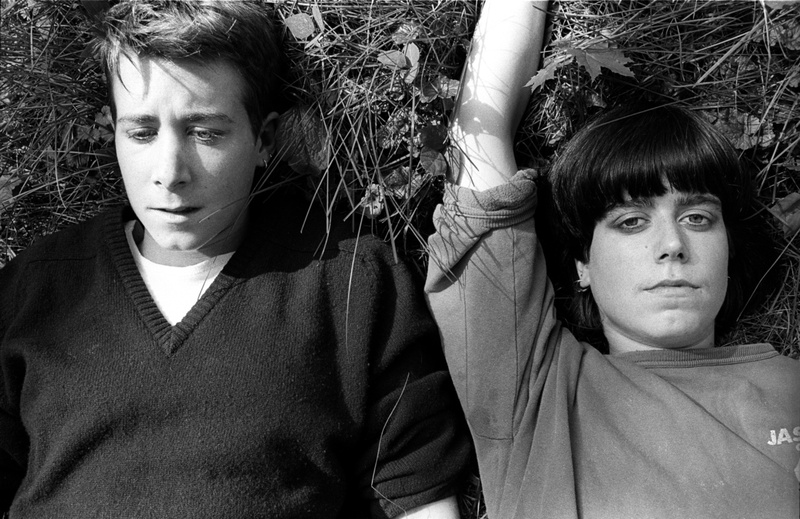 Born in Toronto and based in New York, Moyra Davey is the recipient of the 2018 Scotiabank Photography Award—the largest peer-reviewed photographic art award in Canada, recognizing an established artist working in the medium. Davey is renowned internationally for her multimedia practice examining interiority and disclosure, and the intersection of private and public discourse. This first survey exhibition includes portraits, still lifes, and photographs of subway scenes, along with a suite of films. The accompanying publication presents a coherent overview of Davey’s visual work and writing; both the exhibition and the book serve as prestigious acknowledgements of her outstanding contribution to the field. The following text is excerpted from Brian Sholis’ essay, “Lifetimes,” in Scotiabank Photography Award: Moyra Davey (Göttingen: Steidl, 2019). Moyra Davey’s photographs and videos meditate upon how we value—and work through assigning value to—what makes up our lives: family, friends, what we read, the objects that sustain us and nourish our sense of ourselves. […] In essays and video scripts, Davey weaves together her experiences, the lives of kindred spirits, and the theories of influential critics. These texts are not necessarily confessional; what they disclose, instead, is her intellectual temperament, which is both peripatetic and literary. Davey’s predilections as a writer echo those she displays as an artist. Her essays come in fragments, in vignettes. Sometimes the main narrative is overlaid with sidebars created from favourite quotations, which reminds me of how she has hung framed photographs over unframed prints on the gallery wall. Or perhaps the useful analogy is the photographic contact sheet. Each quotation, each meditation, may or may not be linked to what surrounds it, but, taken together, they generate their own logic and reveal underlying preoccupations. 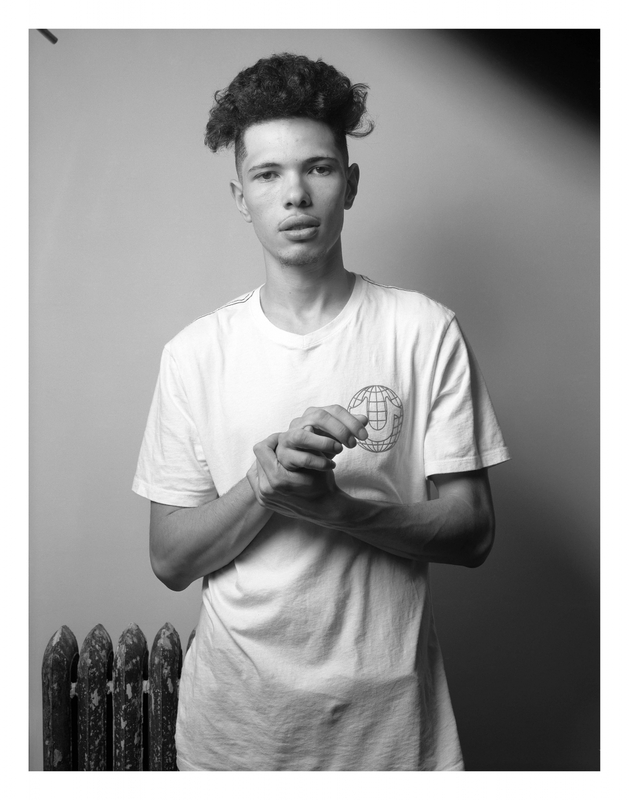 The figure, of course, is not the same as “the human.” Though people did not appear in her photographs for decades, the decisions Davey has made about her work in that time suffuse it with human presence. […] What she has done, and what we can now see properly and begin to treasure, is patiently develop her observational skills. Her artistic voice is now lyrical, infused by intellectual communion, representative of a hard-won balance between her roles as maker and receiver, and between those of artist, writer, and above all, reader.